Clamps & Gaskets: News Roundup for Weeks 29/30, 2017. Millennials consume 42% of the wine sold in the U.S. What that might mean for 'craft' beer? According to Wine Spectator, the U.S. wine market is expected to expand 1.1 percent and spirits are set to rise 2.5, while beer is estimated to decline by 0.7 percent. Volumes for these three options are wildly different to be sure – beer is cheaper and more readily available in simple terms of ounces – but in broad thematic terms, sets up a worthy discussion. —Via Bryan D. Roth, at This Is Why I'm Drunk. Sam Shepard, the experimentalist cowboy-style poet who became one of the most significant American playwrights of the 20th century, honored with the 1979 Pulitzer Prize for drama for his play “Buried Child” and with an Oscar nomination for his acting role as aviator Chuck Yeager in the 1983 film “The Right Stuff,” died July 27 at his farm in Kentucky, from complications of amyotrophic lateral sclerosis (Lou Gehrig’s disease). He was 73. 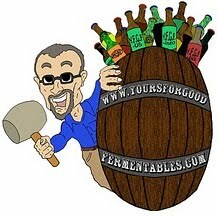 Another craft brewery sale. Short's Brewing Co., which until last year used the slogan "Michigan only, Michigan forever," announced Wednesday that it plans to sell a 19.99% stake to California-based Lagunitas Brewing Company. But as Lagunitas was recently bought out by Heineken, that chunk of the celebrated Michigan brewery will actually be in the hands of big beer. Still 'craft'? A Baltimore, Maryland, good beer man has died: John Bates (1960-2017). 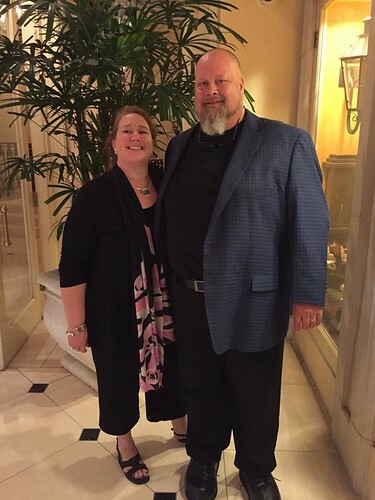 In lieu of flowers or donations, John would most appreciate random acts of kindness. The [U.S.] Brewers Association rolled out its Certified Independent Craft Beer (upside-down-beer-bottle) seal on 27 June 2017 Since then, the association reports, more than 1,250 U.S. breweries (out of more than 5,400) have either adopted it or committed to. Miller Coors CEO Gavin Hattersley refers to 'craft' brewers as "internal assassins" for their criticisms of the mainstream beer business. Blames them and other factors for Miller Lite's declining sales. But not his beer. “Just because you can say something doesn’t mean you should.” Free speech, decency, Flying Dog Brewery, & the [U.S.] Brewers Association. New Belgium for sale? To Anheuser-Busch InBev? “They're coming for you, Barbara.” Film director George A. Romero created the modern zombie genre with his 1968 cult film, “Night of the Living Dead,” which influenced generations of horror enthusiasts. Romero died 16 July 2017 in Toronto at age 77. I drink what I want, when I want [—but—] while the beer is likely to be good from both independent and Big Beer-affiliated breweries, that’s not the issue. Transparency also matters. Honesty matters. 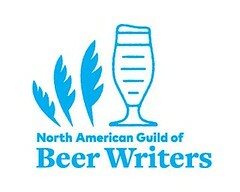 —Via Andy Crouch, at Beer Advocate. 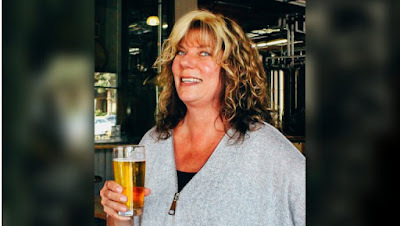 From Coors to Ball Corporation to Flying Dog Brewery to Lost Abbey to the American Brewers Guild and Brewers Association, to craft distiller Cutwater Spirits in San Diego, California, scientist Gwen Conley has made a career of identifying flavors (good and off) in food, beer, and spirits. 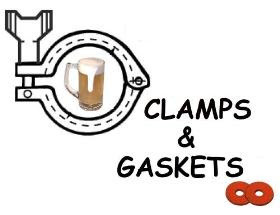 Clamps and Gaskets is a bi-weekly wrap-up of stories about beer (or wine, or whisky) and other things. The Clamps and Gaskets graphic was created for YFGF by Mike Licht at NotionsCapital. Michael Jackson vs. Conan O'Brien. Hurricane Harvey: how to help its victims. Pic(k) of the Week: Totality -minus 5 minutes. Clamps & Gaskets was eclipsed. "And beer is all there is." In the real ale world, regular order is restored. Drinking, again! Sierra Nevada Oktoberfest.